Home Health How Often and Why Do Your Taste Buds Change? Remember those green beans you dreaded or avoided eating as a child? But now they fill your dinner plate (on your own terms) at least twice a week as an adult? But what initiated the transition from “yuck” to “yum?” The truth may be related to taste bud changes! Taste is often used interchangeably with flavor, though there are distinctions between the two. The sense of taste comes from the tongue when taste buds become activated. Taste buds are sensory receptors mostly located on the bumps of the tongue (also known as papillae), though are also found on the roof of the mouth, on the epiglottis, and the throat, working together to signal the digestive system to effectively digest and absorb nutrients being consumed. The five recognized tastes include sweet, salty, sour, bitter, and umami. On the other hand, flavor results from stimulation of the olfactory system, or what we know as our sense of smell. The union of breathing and chewing produces the flavors we taste, and are much more specific than describing the five recognized tastes. For instance, while we know ice cream to be sweet, we can further taste the flavors of vanilla, chocolate, and strawberry variations, along with the salty nuts and sweet sprinkles we so wish to top the scoops with. How Often and Why Do Taste Buds Change? While taste buds essentially expire and regenerate every two weeks, the process starts to slow down around age 40. So although the, fewer taste buds return and. Additionally, sense of smell further decreases with age, changing the interpretations of tastes and flavors. If you have ever experienced a pesky cold, you may have noticed your sense of taste was a little off. Although mostly temporary, illness can cause temporary taste related to changes in the olfactory system. Pregnancy is a prominent stage in which hormones influence taste, as pregnant women may have an acquired craving to a new food, while also showing a preferred taste to salt. Additionally, altered hormones related to stress or sleep deprivation can drive cravings towards to foods high in carb, fat, and salt. The foods we regularly consume can inhibit the desire to experience new flavors. Breaking free from habits and allowing the opportunity for new ones is key in retraining your taste pallet. We must train our taste pallet to appreciate the flavors of real, wholesome foods, not the products loaded with sugar, oil, and salt. In fact, sugar has shown to possess addictive properties, heightening the desire for sweet foods over any others. Lessening highly processed foods can diminish the drive towards them, especially as they stop overpowering natural flavors. Combining familiar flavors with new foods can lead the process of acquiring a taste or flavor, or even dismissing some. 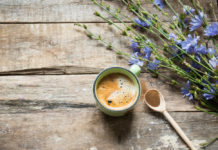 For example, a little sugar or cream can subtly introduce coffee, while natural fruits and herbs can naturally sweeten water to lessen the cravings of soda. In a perfect world, we would naturally enjoy every single healthful food we first encounter. But the world is not perfect, and that is okay! Since taste buds mostly last two weeks, it is completely viable to continue repeating a particular food’s exposure. Along with repeating exposure to a specific food, try altering its preparation technique. For instance, just because someone enjoys steamed broccoli as a side or in soup, does not automate that they like it in its raw form. Try out new cooking techniques and experiment with flavors. Will Collagen Supplements Really Make You Healthier?